Google+ is a social network that was launched on June 28th 2011 as a response to Facebook’s social networking dominance. Since the Google Plus launch it has not competed with Facebook as the go to social network, but Google does take Google plus social media activity into account as an INDIRECT Google web search ranking factor: though the real question is how and how much SEO value is passed? Basically webmasters search engine optimizing their sites have to use Google+. Google is trying to create the ultimate search engine that can determine if a web page deserves to be ranked high in it’s search engine. This isn’t as easy as you might think, as soon as Google became popular webmasters learnt to game it’s algorithm to gain rankings their content didn’t deserve. 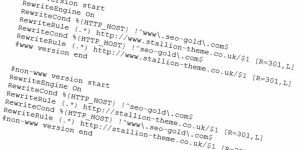 Every time Google adds a new ranking factor, black hat SEO’s try to game it. One way to achieve this ultimate search engine would be to have an army of web site reviewers (real people) who literally reviewed every single web page on the Internet and rank them based on various criteria like how many people talk about the web page on places like Facebook in a positive light (social media signals). I think you’ll agree in a perfect world this would create the best search engine for users possible. There are websites like this and they take a lot of man power to manage and barely scratch the surface of reviewing all the web pages online and let’s be honest most of them aren’t that good, they are prone to manipulation and corruption: look at the DMOZ directory, how many of the DMOZ reviewers are there to promote their own site? Google isn’t one of those sites, Google wants to index EVERYTHING it can get it’s search engine spiders on within minutes of the content going live and fairly rank it based on quality etc… Instead of an army of reviewers, it has a virtual army of automated robot reviewers, Googlebots :-) and a small number of manual reviewers (real people: Google manual reviewers) looking for search engine manipulation the bots miss. Before the likes of Google+, Facebook and Twitter the popularity of a web page was partially determined by the quality and number of links to a web page and this is still the most important factor in 2014. However, a LOT of quality web pages are discussed and shared on Facebook, Twitter and Google Plus and although the big social networks are still just websites (Facebook is just another website), none of them pass the standard SEO signals (via dofollow links) since the links are all nofollow. This means for Google web search to use social media signals it has to use another way to pass SEO benefit other than backlinks, but does it? Google Plus has no DIRECT SEO benefit to Google search engine rankings like a text link has on other websites. Although your Google+ profile pages are indexed in Google and can generate SEO benefit in their own right, the links we post on Google+ are nofollow links which means Google ignores them as a direct ranking factor. If you are familiar with how backlinks work you’ll know links pass two main ranking factors. PageRank/PR or Link Benefit: Link benefit is passed through dofollow links (links lacking a rel=”nofollow” attribute), PR passes via a dofollow link and generally speaking more PR passed more likely a page will rank high in Google (highly simplified explanation). Anchor Text SEO Benefit: The anchor text of dofollow links is a ranking factor, if you are targeting a keyphrase “Awesome Keyword”, by having that phrase “Awesome Keyword” and it’s synonyms as the anchor text the page linked to is more likely to rank for those Google searches. 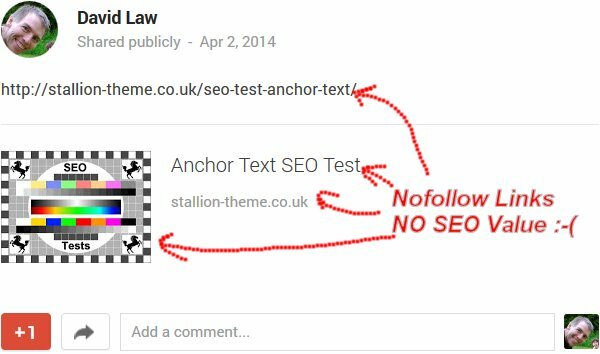 Since the Google+ links include a rel=”nofollow” attribute (they are NOT dofollow) they pass no direct link benefit (PR) or anchor text SEO benefit. Note: when Google Plus first went live it’s links were dofollow (see one of my comments), but in 2014 the only dofollow links I can find on GooglePlus are internal, this means an SEO value via links is ONLY passed internally, Google Plus pages gain SEO link benefit, your site does not. 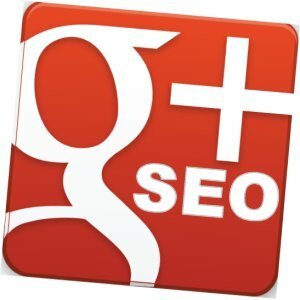 It’s important to distinguish this is direct SEO ranking benefit, if the same links were on this site they would pass ZERO SEO benefit due to the nofollow attributes, but then this site isn’t a social network with millions of users that Google web search might want to use as an indirect SEO ranking factor. The social network statistics do not represent true user popularity, Facebook users spend hours per month on Facebook, while Google Plus users in comparison spend minutes. Google is pushing their Google plus social network by incorporating it into other Google services, but as a social network it’s not serious competition to Facebook today (2014). Consider with so many users using Google Plus, Facebook and Twitter you would expect Google to use those websites as part of their web search ranking algorithm, but that doesn’t mean they currently do: Google has been blocked from accessing social media networks in the past, can they afford to include it in their ranking algorithm when they can not guarantee access? Obviously sine Google owns Google Plus there’s no access issues. If there is significant SEO benefit from social media network sites it’s been quite difficult to prove conclusively: proving backlinks was a ranking factor was easy, proving anchor text was a ranking factor, also easy. If proving something SEO wise is easy, tends to suggest it’s an important SEO factor. Since it’s not been proved conclusively social media sites have a direct SEO benefit (they are a ranking factor) this suggests they either aren’t used as a ranking factor or the SEO benefit is weak. It’s similar to asking to prove if the Greek God Zeus exists, NOT being able to prove something doesn’t mean it does not exist. 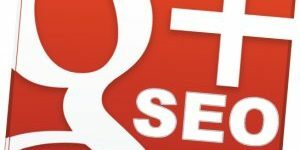 There have been reports that Google Plus shares and Plus Ones (the Google+ like button) are a major SEO ranking factor. I haven’t seen this correlation myself (coincidence could also describe the results), so if Google +1s are a ranking factor it’s weak. Currently I’m tending towards definitely no direct ranking factor SEO value and limited indirect ranking value from Google Plus only (nothing from Facebook or Twitter), but I can’t prove it. Personally I use Google Plus ONLY for it’s potential SEO value, I’m not that into social media sites, but when I do use one it’s Facebook I use first. Google Plus doesn’t offer me anything I want or need. But it’s easy to generate Google Plus friends (I’ve got over 5,000 following me) and it’s not exactly hard work to share new articles on Google Plus and like them. So I’m hedging my bets that Google will one day count social media signals as more important in the future and if not it’s not a complete waste of time (direct traffic for starters). Google provides personal results to logged in users: basically if you are logged into a Google service like Google Plus the results are NOT the same as when logged out. 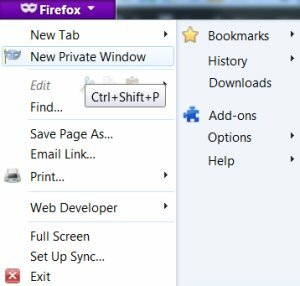 Easy to see this yourself, Firefox for example has a Private Browsing option, by loading Google in a private Firefox browser the Google search results will be non-personalized. Do a few Google searches in both a private and non-private and you’ll see there are subtle differences. One SEO factor you can influence via your Google+ profile is Google Authorship: adds your Google+ photo within Google SERPs which could increase click thru rates- not an increase in rankings per se, but more search engine visitors since more clicks. Seeing a lot of talk about Google + but not able to get it. Can you send me a Google+ invite? I’d love to get an invite if you have any left. I’d really like to get an invite. If you can let me have an invite that would great. If you could spare me an invite that would be great, thanks! I’d love an invite if there are any going?! Yes I would appreciate an invitation.